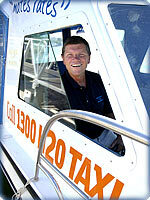 Our water taxis are the largest, best maintained and most stable water taxis on the harbour. That means we will get you to your destination safely and in comfort. 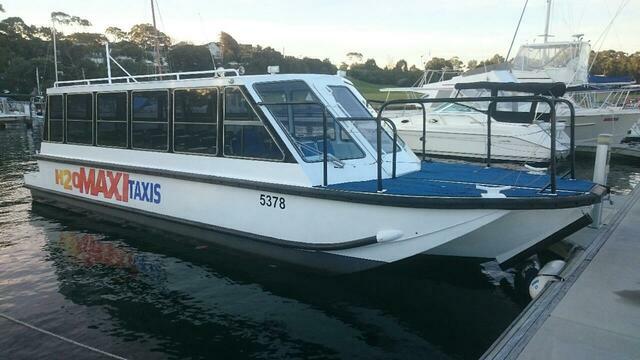 Colossus is able to carry up to 68 passengers (53 seated) to most harbour destinations. 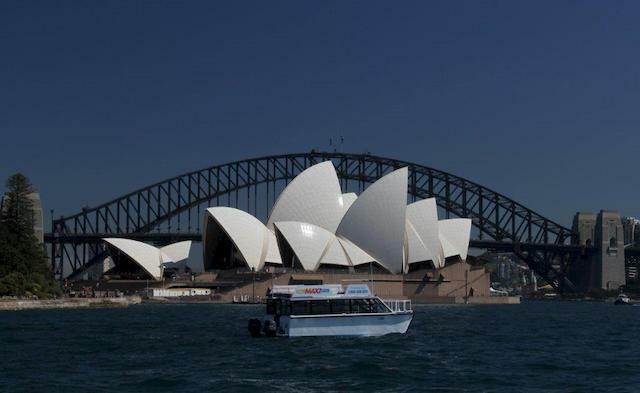 Across the Heads to Manly, Q Station and Balmoral, this is restricted to 48 passengers. 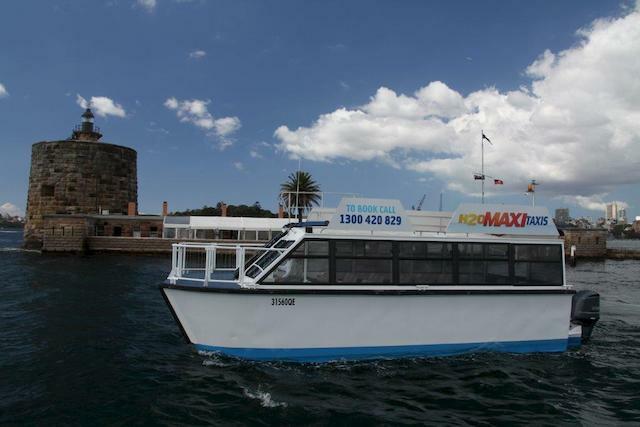 Colossus has a fully enclosed cabin with panoramic windows to give great views as you travel across the harbour. 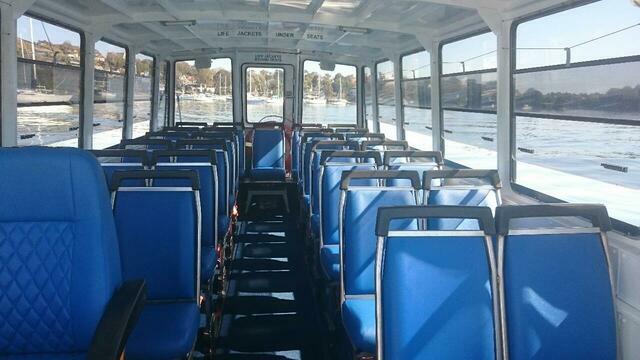 In addition there is a spacious foredeck where some passengers can stand as we travel and more when we are stationary. 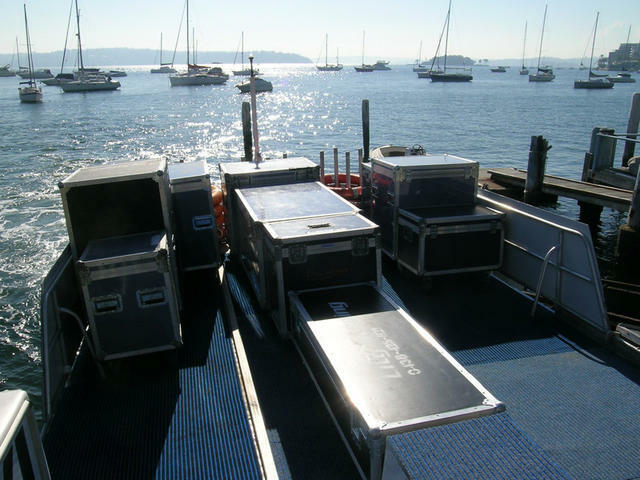 In addition, Colossus is able to carry up to 2 tonne of equipment on the roof area of 6 meters by 4 meters. In 2014 Colossus has had a major refit and new Yamaha 350 HP V8 motors fitted. Colossus has been fully repainted and refurbished inside and out and is now in immaculate condition. 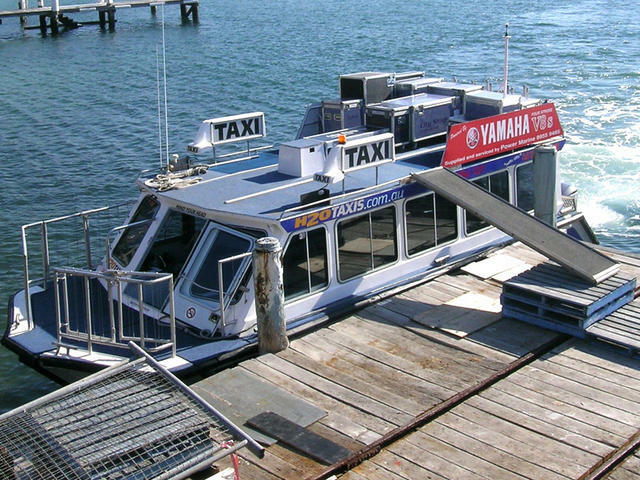 Leviathan can carry up to 49 passengers to most harbour destinations. Even safer with loading from the bow (front) of the boat. 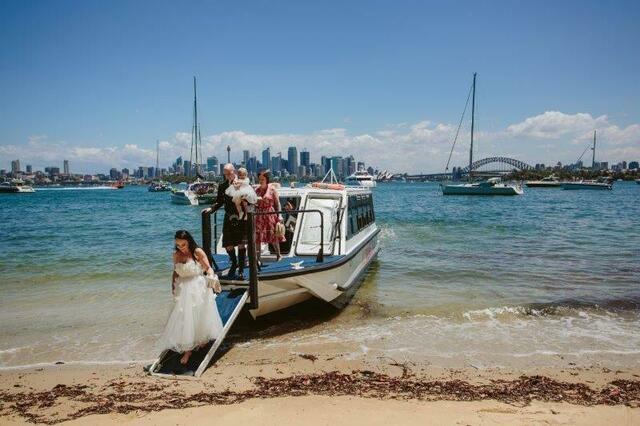 Also suitable for barge hire for equipment transfer across Sydney Harbour. 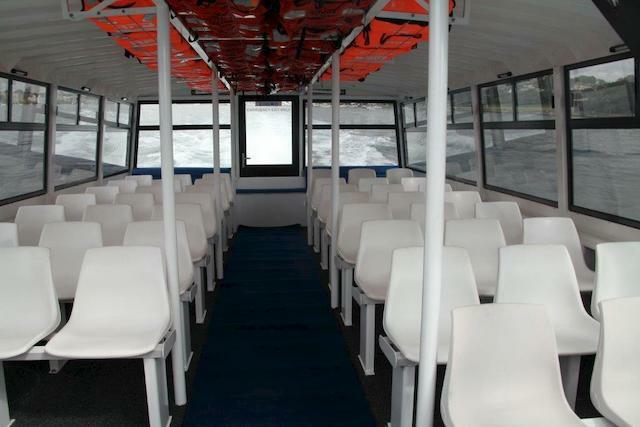 Leviathan is able to carry up to 49 passengers (32 seated) to most harbour destinations. 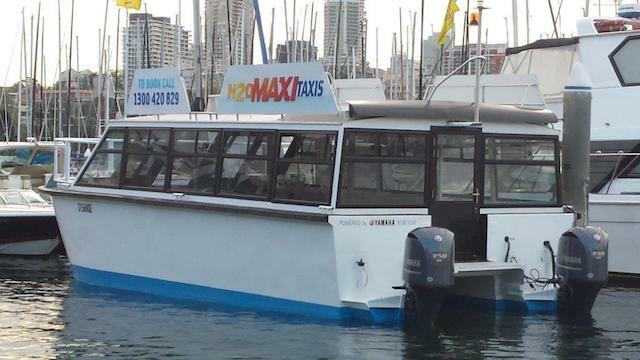 Across the Heads to Manly, Q Station and Balmoral, this is restricted to 35 passengers. 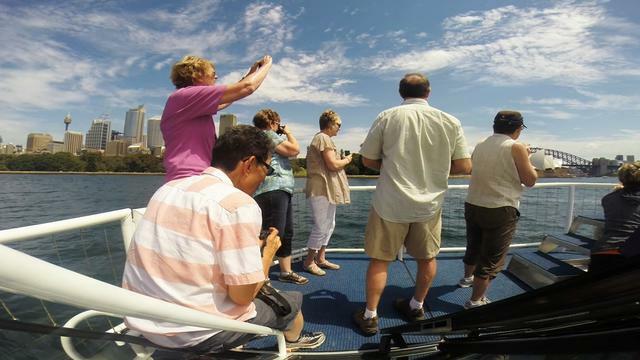 Leviathan has a fully enclosed cabin with panoramic windows to give great views as you travel across the harbour. In addition there is a spacious foredeck where a few passengers can stand as we travel and more when we are stationary. In addition, Leviathan is able to carry up to 1 tonne of equipment on the roof area of 6 meters by 3 meters. In 2014 Leviathan has had new Yamaha 350 HP V8 motors fitted. Over the last two years Leviathan has been fully repainted and refurbished inside and out and is now in immaculate condition. 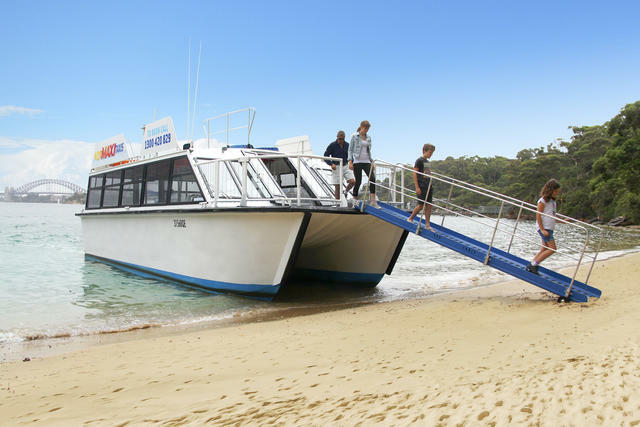 Mercury is our most agile boat, being able to carry up to 33 passengers to most harbour destinations and it has an inbuilt ramp for beach landings! 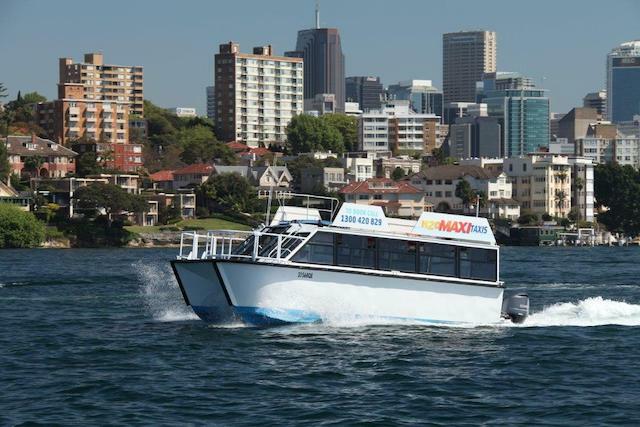 Mercury is able to carry up to 33 passengers (27 seated) to most harbour destinations. 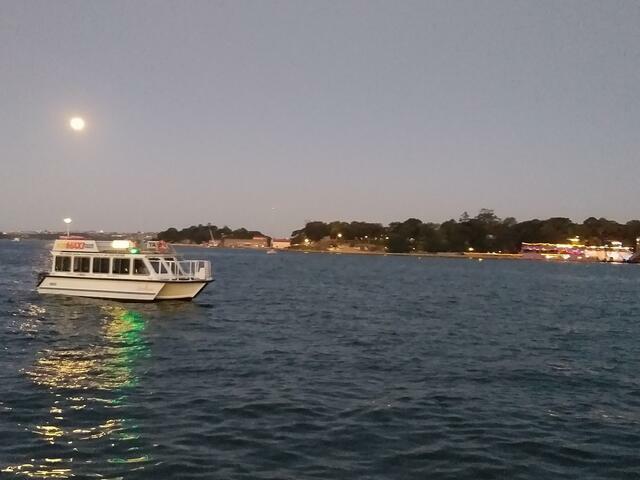 Mercury has a fully enclosed cabin with panoramic windows to give great views as you travel across the harbour. 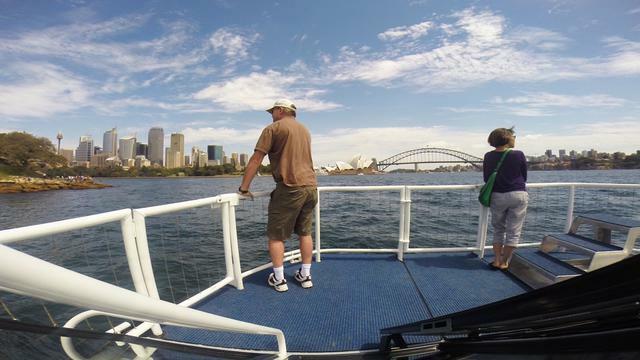 In addition there is a foredeck where a few passengers can stand as we travel and more when we are stationary. In May and June 2016 Mercury has had a complete refurbishment including a complete repainting and the cabin being re-upholstered and re-carpeted and is now in immaculate condition.